My first home was a beautiful historic church. We ate food from our home garden, wore home-sewn clothing, ate very little meat, and spent lots and lots of time together. Electronic devices were a shared commodity that was enjoyed together as a family (one TV, one stereo, etc). My mom taught me how to sing, to draw, to read, and to speak a foreign language before I entered Kindergarten. Maybe she rubbed off on me a little. 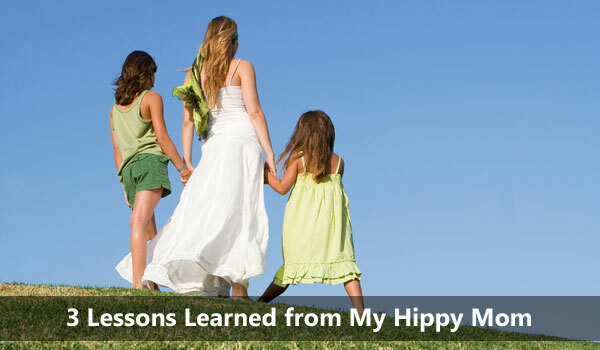 Here are the three biggest lessons I learned from my hippy mom. 1. Live with dignity. We were poor when I was a kid, but we didn’t live in squalor. We took care of ourselves and kept our home neat and tidy. Just because you can’t afford the latest, greatest “stuff,” doesn’t mean you have to be shabby. Looking good equals feeling good. 2. Education is the greatest gift you can give yourself. Before the days of the internet, we borrowed books from the library, and invested money in books. We always had fun things around like musical instruments and craft supplies. My mom taught me lots of things about science, music, language, and the arts, using items we had at home. We took trips to historical and cultural events or sites that were cheap or free. I was lucky enough to develop a sense of curiosity about the world which prompted a love of learning at an early age. 3. Spending time with family is the journey, and the reward. 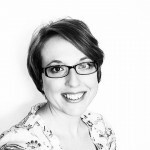 Why have children if you can’t spend time with them? As stay-at-home mom, she taught me the value of having an attached relationship with a loved one and the security it provides for little people who are first venturing out in the world. Did you grow up in a “crunchy” family? What did you learn?